I’m sure by now you’ve figured out that I’m a bit of a bookworm, which is partly due to the fact that I spend so much time on planes and in airports, and partly due to the fact that I’m an escape artist in every form (travel, books, slipping out of parties without my goodbyes). It has been a while since I’ve posted in the book club, for which I apologize. My reading tendencies are sporadic at best, mostly determined by the amount of travelling I am doing in any given month. But alas, here we are! I came across some great books in the past week in and out of airports, so wanted to share some of these great reads with you. I was obssessed with this book a few pages in and if you’re anything like me and the author (a self-confessed Francophile), I promise you, you will love this book. I’m even prepared to say (currently halfway through reading the book), that it is my favourite Paris memoir of all time. The philosophy of this book is simple: women are so hung up doing a bit of everything that we do not focus on ourselves enough to be a boss at what we want to do/be. This is my kinda feminism and if you’re a girlboss in any way, shape or form, you will love this book. Continuing with the theme of empowerment this month (I’m on a bit of a girlboss mission this year), I would love to recommend you all the 200 women book. In a similar style to Humans of New York, this book interviews 200 different women and allows you to rethink how you see the world and your place in it. For so long I saw this author’s first book (Milk and Honey) on the shelves of the celebrated best sellers and for whatever reason, never picked it up. I soon realised her poetry would speak directly to my soul and am firmly of the belief that I picked it up at the right time of my life when I needed it most. I would recommend both of Rupi’s books if you are suffering uncertainty, loss, or simply looking for direction and guidance at a difficult time or in times of change. I picked up this book on my recent trip to Canada and I’ll be the first to admit the title was what sucked me in, but the content kept me reading and wanting more. Another book of poetry, the words on these pages speak directly to nomadic types (myself included) who just want to roam the world, soak it up, and be the reason someone smiles. A little dark at times, but the depth will spark thought. I’m a huge fan of Jojo Moyes, especially after reading Paris for One, so am really excited to read her newest novel, Still Me. There’s a lot of hype around this book so I’m saving it for now, but have promised myself to read it next week when I pass back through Johannesburg airport and need to fill in the time between flights. Over to you, what are you reading this month!? I wish can read this book soon! You are traveling frequently that’s why you are getting time to read these books, really liked your hobbies. we don’t have time to read-only. An interesting reading collection, especially Paris Dreaming by Katrina Lawrence. I love reading books, so trying to read your favorite books. Awesome collection BROOKE SAWARD really loved your reading interest. I definitely fancy reading a few of these! I can’t get on board with poetry (and I have a Masters in Literature! ), but anything about French is always good! Such an informative post keep posting. I have read the last one and my suggestion is: everyone should read it. These all look great! 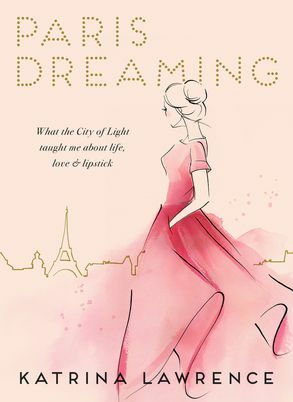 I’m really interested in checking out Paris Dreaming and Get Sh*t Done. Thanks so much for the recommendations I’ve been wanting to find some new books to read! Yay! I love reading and can’t wait to read many of these! Hello Brooke! I love these recommendations and have added most of them to my list! I’m currently reading The Secret Life of Violet Grant, by Beatriz Williams, and just finished Four Seasons in Rome, by Anthony Doerr. His book is a travel memoir about living in Rome for a year, and it totally made me want to go back to Rome! Wow! It looks interesting reading list. Thanks for sharing it. I’ve heard so many good things about Rupi Kaur! Have been dying to read her poetry! I’ve been reading The Hate U Give by Angie Thomas and I love it! It’s such a powerful book and has taught me so much about racism and police violence, and how far we still have to go to end them. i have read rupi cars book it is very inspiring! would love to check the book on paris, sounds interesting! Thank you for sharing your interesting reading list!